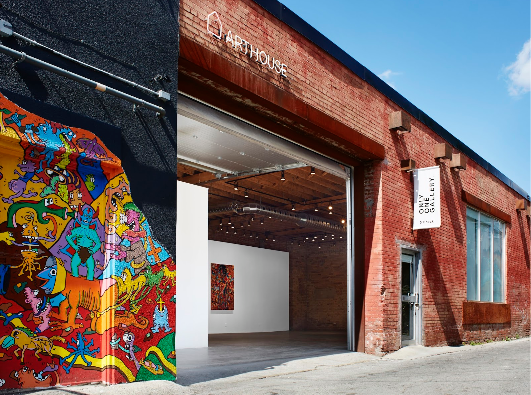 Only One Gallery is a contemporary art gallery, 3,000 square foot loft style with high wood ceilings, cement floor and brick walls located in Parkdale. OOG hosts a number of exhibitions and events presenting art with talented artists as well as a number of booked events. The multi purpose gallery can hold up any event from car shots to traditional art showcase. The venue offers sit down dinners in banquet and reception style from 150- to 250 people. The venue also features LED exterior lighting with a built in audio system and iPod connection. 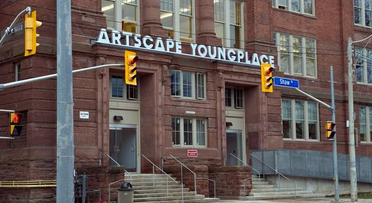 Artscape Youngplace is a new age modern art gallery which doubles as a venue for events. It is located at the intersection of Argyle and Shaw placing this close to Queen Street West which has a very artistic community. This venue is like none other because of the abstract art surrounding the walls giving it a modernized feel. The contemporary feel is in style and is in high demand for its simplicity. This venue has multiple exhibits at once which gives variety to the client about what they like. Artscape features Canadian artists most of them being local. This is the perfect place as a venue because of its versatility. It can be transformed from a formal venue to casual. It is most commonly used for presentations of any sort. Artscape can fit 100 people when it is set up theatre style. It is not an overwhelming space because it is open but not too much space. There also have on-site catering which is optional however, it is recommended. 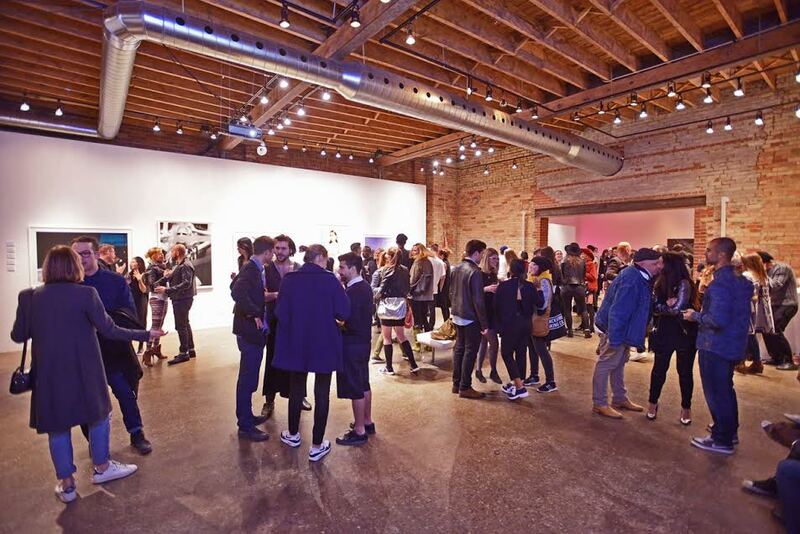 This venue is often overlooked because it is an art gallery. However, this is a beautiful venue for events. They are geared towards making the experience of an event light and filled with artwork. If you are having an event you might want to consider having it at this venue because of its avant garde artwork. 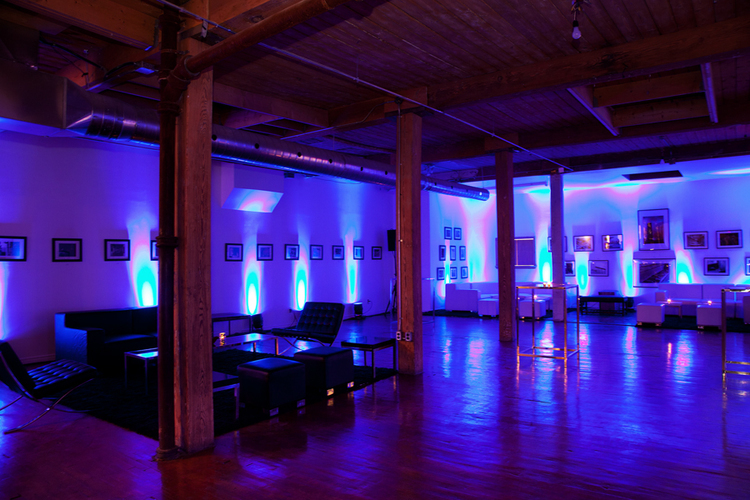 Twist Your Event into Something New, with Twist Gallery! Since Twist opened back in February of 2010, Nadia, the young and dynamic owner and director of Twist Gallery has watched her space blossom into one of Queen West’s prime locations for art shows and events. She says her favourite part about her job is meeting new people, and the rush she gets in anticipation of what tomorrow will bring. Nadia also says that coming up with a name for her gallery was surprisingly one of the harder things she has ever had to do. People gave her all kinds of suggestions, but she did not want to settle for just anything. Like all things in life, coming up with the name “Twist” took time. It came to her out of nowhere, and she knew it was right. 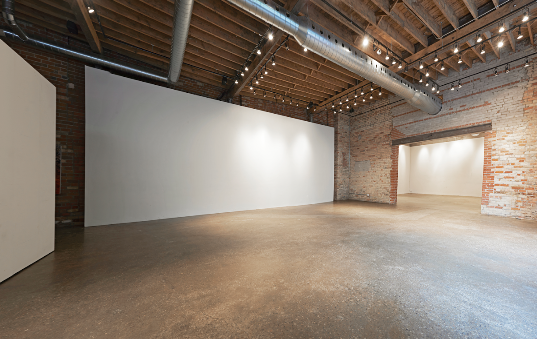 The primary use of Twist Gallery’s space is for Art Exhibitions, but it is available for rent for special events outside of gallery hours. She believes in the importance of meeting new people, and feels comfortable in any social setting. It is this same sense of ease and relaxedness that she trusts her visitors will appreciate upon entering her gallery. Instead of feeling intimidated and uninvited like some places, she wants her guests to feel welcomed and at home. An ideal spot for fashion shows, corporate functions and photo shoots, Twist also offers a great alternative space for a wedding reception. The Gallery can accommodate approximately 250 guests for a standing reception, and 160 seated. Twist Gallery transcends the stereotypical idea of an art gallery and is a space where anybody can walk in and feel comfortable. Whether an art enthusiast or someone who knows little of art, the space gives a sense of ease and relaxedness to guests. GRAND OPENING AUGUST 1, 2014! 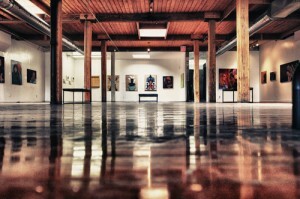 Located in midtown Toronto, York Mills Gallery is a unique venue that offers an urban-industrial loft-style space to host weddings, social events, corporate functions, conferences, fashion shows, etc. 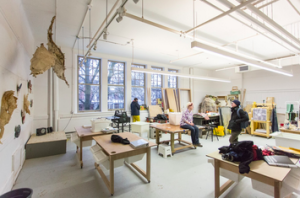 The 15,000 square foot facility is surrounded by white velour drapery, windows, city brick and industrial age-beamed ceilings. York Mills Gallery is conveniently divided into two separate spaces and can comfortable seat up to 350 guests in the Dining Room with a large dance floor (or can seat up to 500 without a dance floor), or up to 600 guests for standing Cocktail Receptions. Depending on the function and the size of your event, you may choose to utilize one room or move your guests between the spaces. Your event will always be private, as no two events will be booked at the same time. And with unlimited parking, economical bar packages, in-house wait staff, on-site cutlery, china, glassware, tables and Crystal Chateau chairs, your event planning experience will be a breeze! Add to that the majestic 20 foot ceilings, Crystal Chandeliers in the dining area and moveable lounge furniture; your guests will be dazzled by the experience. The York Mills Gallery also has a full on-site kitchen, which allows Daniel et Daniel to design custom menus for your special event, making your experience a culinary adventure! 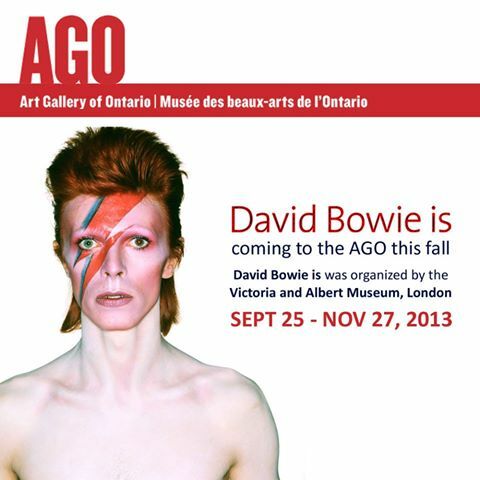 Get ready TORONTO – this fall at the Art Gallery of Ontario (AGO) for the first time ever you will have a chance to take a journey through the world of a musician, performer, and style icon David Bowie. This exhibition is from the Victoria and Albert (V&A) Museum in London, England, where over 300 objects from Bowie’s personal collection has been featured throughout five decades. The show reveals the innovative artist’s collaborations in the fields of fashion, sound, theater and film. To join this extravaganza it will be occurring from September 25, 2013 to November 27, 2013.